How to Bypass Bios Password in a minute? 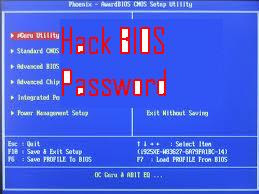 Bios password is a from of security user apply on their computer to avoid unathorized access It is the strongest password on the computer. But sometimes people forget this passwords and they face problem of login in their computer. 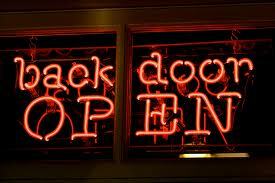 Hence we need a method to crack even the BIOS password of the PC. The easiest method which people might think is to start guessing the passwords again and again. But We need to learn these methods because these 3 wrong guess can make your data to be lost forever. 1. Open your CPU with a screw driver after switching it off. 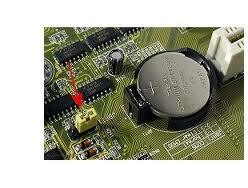 2.Look for a CMOS battery on the motherboard. 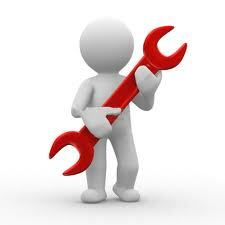 4. after 20 minutes , put the CMOS battery in the motherboard, and restart the PC. Most of the computers back-door passwords for technicians to use so they can access the BIOS when the hardware is being serviced. Here are some of the of the back - door bios passwords. Try then and see which works for you. NOTE: These passwords are Case Sensitive. The 3rd method to bypass bios password is know as Brute Force Cracking.This Brute force cracking can be done by the use of freeware such as IBIOS. This method can be used to bypass the most common BIOS used like American Megatrends, IMB , Phoenix, Award etc. Warning: Some Anitvirus may report this software as a virus, ignore the report as it is a false alarm. Also Use of Bios Password Cracker may lead to undesirable and unexpected results. 1. Download the !BIOS software. 2.Clck on start, run and type cmd and hit enter. 3.type cd Desktop ,to change the current directory. 6.Again using the up and down arrow key select the Bios version and hit enter. Note: BIOS version can be seen at the time you reboot your PC. 7.It would now show up with a menu , which would let you choose from the variety of password you can crack.. type 1 to crack the supervisor password >and Hit Enter., and again type 1 and hit enter to choose the method of cracking ,as this method works the fastest. Hurray.. Now you would see the BIOS Password.Just Reboot the PC and Enter the BIOS with this Password.